Optics is the science that describes the behavior and properties of light and the interaction of light with matter. Optics explains optical phenomena. 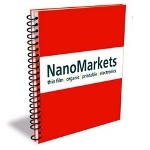 NanoMarkets believes that the transparent display market will dramatically expand. Smart glasses such as augmented reality and Google Glass applications have focused attention on displays that can simultaneously display information and function as windows on the real world. NanoMarkets has released a new report that provides a comprehensive analysis of the latest opportunities available in the LED phosphor markets. When flexible glass was originally introduced in the market, it seemed to be a miracle material, one that combined the virtues of plastic and glass. However, during the year 2013, flexible glass demand has begun to decline.